This strongly maritime-influenced climate is not dissimilar to Bordeaux in a dry vintage; hence the quality of its Cabernet Sauvignon and Merlot. As the latitude increases, soil type changes from sand, to loam, gravel and finally back to sand. Located 10km from the coast Devil's Lair Vineyard lies on the 34.25 South parallel and enjoys frost free but very cool growing and ripening seasons from the influence of nearby Cape Leeuwin. The wines made from the region have gained a well deserved reputation for clarity and delicacy of fruit flavours and elegance in their structure. These characteristics are expressed strongly in our wines, which reflect the singular combination of geology, geography and climate that is unique to the Devil's Lair estate. Situated on the southern end of the Leeuwin Peninsula, the 200ha estate is planted to noble varieties in deep draining ironstone gravel. A man-made, 14ha lake in the central valley of the vineyard provides supplemental drip irrigation. Fruit for the vineyard was first vintaged under the estate's own label in 1990. Prior to this the annual crush was sold to other wineries. Only Devil's Lair grown fruit is used in the estate labels with approximately 500 tonnes of fruit processed annually. Current vineyard planting's total 87ha, with the first vines established in 1981. 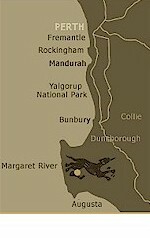 Devil's Lair are also headquarters of the dynamic Fifth Leg range, wines which hacve won the hearts of consumers throughout Australia and aropund the world. Born in Perth, Devils Lair winemaker Stuart Pym began his winemaking career in 1983 at the Margaret River family winery. 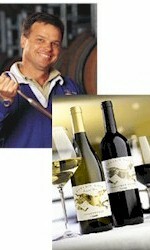 Stuart spent eight years with Voyager Estate as winemaker and production manager. He has previously worked vintages in the Yarra Valley and Bordeaux, and in 1998 undertook a study trip to Tuscany and Piedmonte, focusing on Sangiovese and Nebbiolo. Stuart joined Devil's Lair in September 2000 to continue working on the foundations laid by his predecessor Janice McDonald. "My focus has always been to make great wine, and I would only consider winemaking positions where the focus is to make the absolute best. Margaret River is the only place I would consider making wine. The stunning quality of the Chardonnay and Cabernet Sauvignon from this region, and its regularity, make working in this area a privilege. Stuart's aim is to allow expression of the unique personality of the Devil's Lair site by deliberately limiting yields and carefully managing every aspect of grape growing and winemaking. "There is no doubt that great wine is made in the vineyard. Devil's Lair has a fantastic site, which is already achieving stunning results, but this does not mean we can't do better. It is a real focus of mine to maximise the quality from the vineyard."